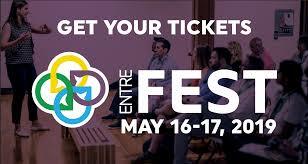 Entrefest – Iowa’s Largest Entrepreneurial Gathering – May 16-17. Opportunity Squared Regional Economic Development will be sponsoring 2 entrepreneurs to attend. Based on the State of Entrepreneurship 2019 Report released by the Kauffman Foundation, “In a thriving ecosystem, entrepreneurship empowers individuals; improves standards of living; and creates jobs, wealth, and innovation in the economy. Yet, entrepreneurs face many barriers when turning their ideas into realities. Despite challenges, many Americans are finding ways to break through these barriers to successfully launch businesses and revitalize entrepreneurial ecosystems across the county.”Opportunity Squared is prepared to register two individuals from its nine-county area to attend and learn firsthand from entrepreneurs that have “Been There, Done That”. Visit www.entrefest.com for more information and to see a schedule of speakers and topics. The Iowa/Jefferson/Keokuk Early Childhood Iowa Board is collaborating with the Jefferson County Child Care Steering Committee, and the Fairfield Economic Development Association to host an open house for .those interested in becoming a home-based child care provider, and those already providing child care in their home. The Child and Adult Care Food Program (CACFP) is funded by the USDA and works to combat hunger. CACFP serves over 4,000,000 children with healthy meals & snacks and is an indicator of quality child care. The CACFP encourages healthy meals and snacks to be served by child & adult care providers. Benefits of being a CACFP provider are financial reimbursement on groceries, education & training on healthy eating, tools & resources to use every day, and support from the entire child nutrition community. Requirements to be in the program in Iowa are that you are a registered child care home with your county Department of Human Services and that you are signed up with the local agency who sponsors the CACFP. For more information contact Glori Headley Johnson or Julie Pitzl at Sieda Community Action 641-682-8741 or gjohnson@sieda.org or jpitzl@sieda.org. Fairfield, Iowa (December 20th, 2018) The Iowa/Jefferson/Keokuk Early Childhood Iowa Board is collaborating with the Jefferson County Child Care Steering Committee to offer a new incentive program to anyone currently operating a registered child care program in their home Participants in the program can receive up to $2,500 in incentives. There are currently seven registered child care programs in Jefferson County. There will be an open-house informational session for current home-based child care providers and for those interested in starting a new home-based child care program on January 9, 2019, at 6 p.m. at Washington Elementary School Gym. Snow date is January 16, 2019. Fairfield, Iowa (November 30th,2018) Effective yesterday, ALCAST Midwest Works LLC in Fairfield, restructured and sold its operating assets to its Galesburg, Illinois based sister company, Aluminum Castings Company. Aluminum Casting Company is a high-quality American aluminum sand castings foundry, specializing in supplying both cored and uncored parts in several aluminum alloys of all sizes and volumes, including prototyping. Fairfield, Iowa (October 12th, 2018) The Iowa/Jefferson/Keokuk Early Childhood Iowa Board is collaborating with the Jefferson County Child Care Steering Committee to offer a new incentive program to anyone wishing to start a new child care program in their home or to become a registered child care home provider if they are already caring for children in their home. Participants in the program can receive up to $3,500 in incentives. “Our goal is to recruit five new home-based child care businesses in the Fairfield community by July 1, 2019. Home-based child care businesses will be eligible for incentive payment once they complete the quality and longevity requirements,” said Tammy Wetjen-Kesterson, Director for Iowa/Keokuk/Jefferson Early Childhood Iowa. The opportunity to create a thriving community by retaining, attracting and engaging families in the area depends on the availability of high quality, affordable, childcare. In an April 2018 survey in Jefferson County, 438 current and future parents articulated their challenges and desires regarding childcare. One take away from this survey is that, if a family can find affordable, high-quality child care, when they need it, they will stay in the school district, buy a home in the area, seek employment, patronize local businesses, and participate in community events. Child care is an important part of a community’s infrastructure; it is as critical as the built infrastructure. In the first quarter of 2018, the Jefferson County Child Care Steering Committee, the Fairfield Economic Development Association, and the Iowa/Jefferson/Keokuk Early Childhood Area Board commissioned First Children’s Finance of Des Moines to complete a Child Care Market Analysis to better understand the child care market in Jefferson County. The Child Care Market Analysis showed there are shortages in the number of child care slots for two-year old’s, and for full-day, full-year preschool for three and four-year old’s. Parents that participated in the market study identified a licensed center or a registered child care development homes as their most preferred options for providing care to their children. There will be incentive information forthcoming for existing Registered Home-Based Providers. This month, Pekin Child Care Center will be expanding the child care services and adding 12 infant spaces. The center currently serves 168 children and once the 12 new spaces open, this will bring the total number of children served to 180. An infant room for children for 6 weeks of age to 1-years-old. A transition room for children age 1-years-old to age 2-years-old. A multi-age room serving ages 2-years-old to 5, a room structured similar to preschool, to meet each child’s developmental needs. They also offer traditional preschool that serves 4-year-olds and also offer before and after school care to school age children. Currently, the center employs 24 staff members and they will be adding one additional full-time staff person to support the expansion and some part-time staff will also transition to full-time. Co-directors of the Pekin Child Care Center, Janet Conger and Gina Swearingen, and Administrator Kim Ledger expressed the expansion was driven by the center’s waiting list for infant spaces. They have had expecting parents reaching out to them for a spot on their waitlist. With this, they said the twelve expansion spaces are already filled. The Pekin School District had an existing building on their campus that historically had many uses over the years, though most recently was unused, making the building available to be repurposed. The school district donated the building to the Pekin Child Care Center and it was relocated directly adjacent to the existing center. The building has been under renovation this past summer and is now completed. Conger, Swearingen and Ledger worked with the Department of Human Services and the Iowa State Fire Marshall’s to meet building code requirements for the renovation of the building. The cost of the project was supported by private donations, the Pekin School District’s SAVE (Secure and Advanced Vision for Education) and sales tax dollars as well as center funds. Looking forward, the leadership plans to expand the transition room for children age 1-year old to age 2-years old in the next few months to accommodate children as they age out of the infant room. The Pekin Child Care program started in 1991 and moved to its current location in 2001 and began their infant program that same year. They have a level four out of five on the Iowa Quality Rating System and the infant staff receives PITC [Program for Infant and Toddler Care] training through Child Care Resource and Referral. The center also participates in the Iowa Positive Behavior Support Program. This sets child expectations of behaviors, rules to operate by, and provides teachable moments to support appropriate behaviors. Finally, they participate in the State Child Care Assistance Program and the Iowa/Jefferson/Keokuk Early Childhood Iowa Preschool Scholarship Program to assist families with costs of tuition. Pekin Child Care Center has a long-term relationship with Indian Hills Community College to provide field experience for their Early Childhood Education Program. They also work with the Pekin School District on a cross-age mentoring program for high school juniors and seniors that pair them with a child at the center. The Jefferson County Child Care Steering Committee, the Fairfield Economic Development Association, and the Iowa/Jefferson/Keokuk Early Childhood Area Board commissioned First Children’s Finance to complete a Child Care Market Analysis to better understand the child care market in Fairfield and Jefferson County. The Child Care Market Analysis showed there is a shortage of 137 infant spaces in Jefferson County. Parents that participated in the market study identified a licensed center or a registered child care development homes as their most preferred options for providing care to their children. Pekin Child Care Center is serving 39 families with 57 children employed in Fairfield and they are serving 24 families with 38 children, living in Jefferson County. In total, the center serves 95 children whose parents work in Fairfield or Jefferson County. 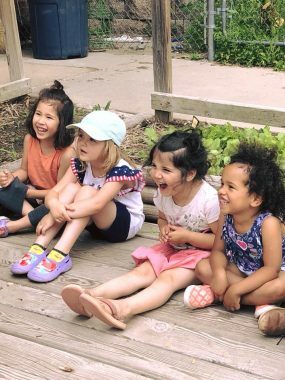 Maharishi School Children’s House is expanding their child care and preschool services at the start of the new school year, by adding 24 new spaces for children. They will now offer child care and preschool services to fifty-nine children this fall, compared to 35 spaces in the 2017-2018 school year. Their new expansion will now have one classroom serving sixteen children ages eighteen months to three-year-old. They will have two classrooms serving forty-three children ages three-year-old to six-years-old. They will also be adding eight children to their afternoon program. This will expand full-day services to forty-two children. The expansion of services has resulted in hiring additional staff. Michelle Svenson was recently hired as the new director of the Maharishi School Children’s House. She started with Maharishi School Children’s House in January 2015 and served as an assistant teacher and lead teacher before assuming responsibilities as the director in June 2018. Maharishi School Children’s House is a licensed center with the Department of Human Services and the child care and preschool services are open to anyone in the general public. They also participate in the State Child Care Assistance Program and the Iowa/Jefferson/Keokuk Early Childhood Iowa Preschool Scholarship Program to assist families with costs of tuition. Maharishi School Children’s House is currently in discussion about a further expansion in the school year 2019-2020, but have not yet galvanized the consideration. In January 2018, the Jefferson County Child Care Steering Committee, the Fairfield Economic Development Association, and the Iowa/Jefferson/Keokuk Early Childhood Area Board commissioned First Children’s Finance to complete a Child Care Market Analysis to better understand the child care market in Jefferson County. The Child Care Market Analysis showed there are shortages in the number of child care slots for two-year olds, and full-day, full-year preschool for three and four-year olds. Parents that participated in the market study identified a licensed center or registered child care development homes as their most preferred options for providing care to their children. 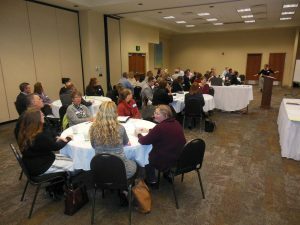 In November 2017, over fifty business and community leaders met to discuss child care challenges facing the Fairfield community. Forum participants provided creative ideas to solve the existing child care challenges. After, the forum participants formed a Child Care Steering Committee. The Child Care Steering Committee chose to conduct a market study to determine the amount of existing child care, to determine how much child care is needed by parents, and to determine which solutions will best meet the needs of businesses, parents, and the community. Iowa/Jefferson/Keokuk Early Childhood Iowa Area in conjunction with Fairfield Economic Development Association, and the Child Care Steering Committee has contracted with First Children’s Finance to complete a child care market study. The first phase of the study will be a Child Care Market Analysis, which will include studying the supply and demand for child care in Jefferson County. A component of the research will include a survey of local employers and parents and how child care affects them. The parent survey can be accessed online from March 19 through April 10 at https://www.surveymonkey.com/r/JeffersonCountyChildCare. After the Child Care Market Analysis is complete, First Children’s Finance will facilitate a process that focuses on addressing Jefferson County’s child care needs. This process will include facilitated meetings to identify priorities and develop goals with detailed strategies and specific activities to address the child care needs identified in the market analysis.